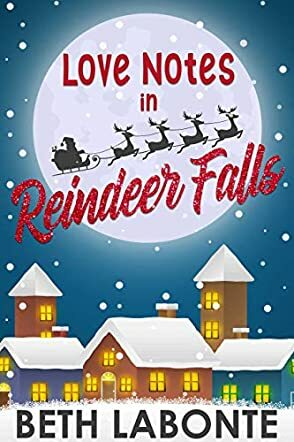 Love Notes in Christmas Falls by Beth Labonte is a continuation of the Return To Christmas Falls series, built around the small Tennessee town of Christmas Falls. When Caitlin Cook graduated high school and headed off to Harvard with a full scholarship, her future seemed to be laid out in front of her. Only one thing tinged her excitement at leaving town for the big city of Boston. On her last night, Shane Mitchell, the enigma of her teenage years, had professed his love for her. After college, Caitlin worked for a textbook company for four years, but, laid off from her job and recently broken up with her boyfriend, she feels she has achieved nothing after eight years away from Christmas Falls. Called back to visit by the illness of her teenage music teacher, Caitlin herself must face the music and address the relationship between herself and Shane Mitchell, who has returned to Christmas Falls and is now the music teacher at the school. Although Love Notes in Christmas Falls is part of a series, it is a full story in its own right and one that you don’t have to have read any others to fully enjoy. This is a simple, unpretentious romance that fulfills its purposes well. Author Labonte posed many of the same questions for the two main characters that her readers will no doubt face in their own lives; how does one judge life’s success? Is love more important than anything else? What is it that draws two people together with such a strong connection? And what is our goal in life? Happiness or success – or are they the same thing? I really enjoyed the characters and the story. Although not an avid reader of cozy romance, I am still able to gauge Labonte’s success at reaching her target audience. The story is well written, the characters well developed and, in its genre, a total success. I did enjoy this easy read.